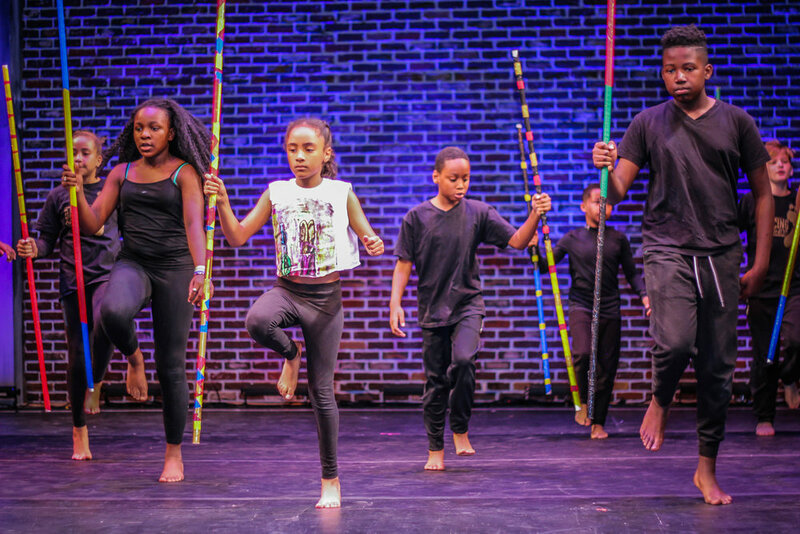 Dancing Grounds provides physically and artistically rigorous dance training at its studios and in schools with a focus on social-emotional development, physical health, leadership skills, and social justice. Got a question about youth programs? EMAIL OUR IN-STUDIO YOUTH DIRECTOR. CHECK OUT WHAT WE’VE BEEN UP TO IN THE LATEST YOUTH NEWSLETTER. DG Junior Company is open to third through fifth graders and serves as the entry point to our dance programs. DGJC meets for two hours each Saturday at the NORDC Stallings Center and focuses on the fundamentals of Hip Hop and Afro-Caribbean dance technique, performance, and team building. DG Senior Company is open to sixth through eighth graders and allows our older, more advanced dancers to dive deeper into their training. DGSC meets for three hours each Saturday at Dancing Grounds, providing a platform for young dancers to dive deeper into their dance training of Hip Hop and Afro-Modern. DG Uprising is open to ninth through twelfth graders, this teen arts and leadership program focuses on developing artistic skills, social and self-awareness, and tools for social justice organizing. DG Uprising meets for three hours each Saturday at DG studio studying hip hop, contemporary and Afro-diasporic dance styles mixed with spoken word. The company also spearheads the artistic and thematic production of the annual Dance for Social Change festival. FOR MORE INFORMATION CLICK HERE. Audition- based, hip hop group for our most dedicated students to showcase their work through the year. that performs more frequently at community events across the city. Elite Feet is open to members of DG Senior Company and DG Uprising. 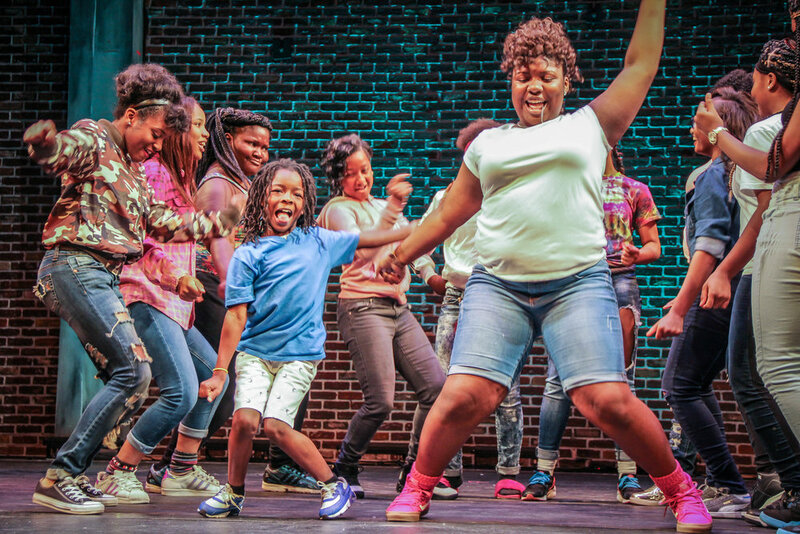 A school residency program that uses dance as a vehicle for uplifting the physical health, social-emotional health, leadership, and teamwork skills of New Orleans youth within a social, racial, and gender justice framework. DGR combines high-quality dance instruction with best practices in positive youth development. 2018-2019 DG Rising Partners: Arise Academy, Bard Early College New Orleans, NOLA Microschools. Dancing Grounds Summer (DGS) is a four-week camp for beginner and intermediate dancers ages 8-15. The session includes training in Ballet, Modern, Contemporary, Hip Hop, African, Salsa, dance composition, history, physical fitness and nutrition. The program is a "healthy food zone" with healthy lunches and snacks served daily. DGS culminates with city-wide tour of performances at New Orleans-area youth camps! Registration opens in April every year. We offer need-based scholarships to any families that cannot afford the $20 per day tuition. Dancing Grounds will NOT be having DG Summer in 2019. Click HERE for more information and a local summer dance guide. Dancing Grounds offers workshops in Hip Hop, Creative Movement and other dance forms for children of all ages across the city. We have provided workshops for the Association for Conflict Resolution, Youth Empowerment Project, Sacred Heart Academy, French Quarter Festival, Bayou Boogaloo and more.